The surprise-shipped Die Die Die #1 from Image Comics led comics shop reorders for the week ending July 22, pushing Marvel's Amazing Spider-Man #1 into second among reorders for comic books. Infinity Gauntlet again the top reordered softcover. The Avengers: Endless Wartime graphic novel from 2013 was part of a special sale, and was as a result the top hardcover. The top new hardcover was DC's Dark Nights Metal Deluxe Edition. Click to see the full reorder chart for the week ending July 22. Looking at August, Boom Studios' Mighty Morphin Power Rangers: Shattered Grid #1 holofoil variant was the top advance-reordered comic book and item overall. 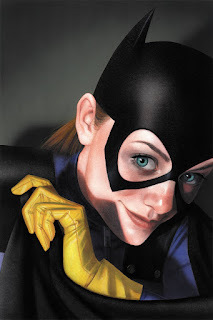 A Batgirl #25 variant was second. Venom by Cullen Bunn was the top trade paperback.